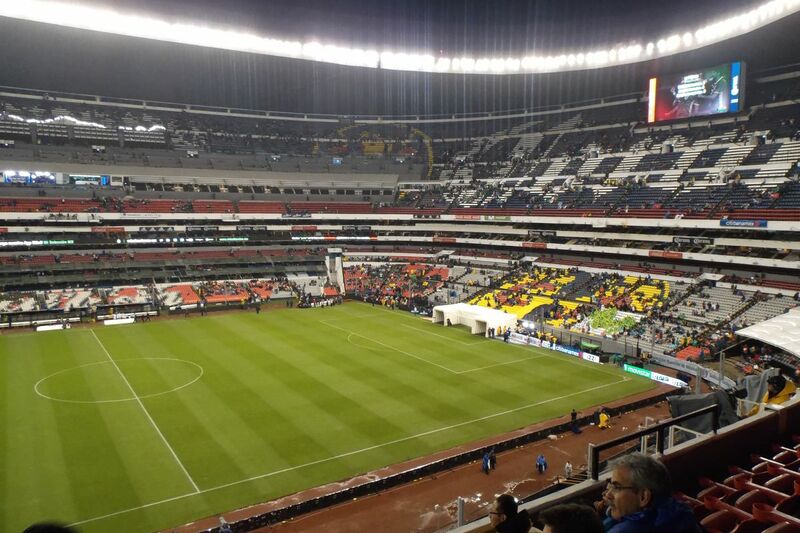 America’s first game in Estadio Azteca after the September 19 Earthquake will be the biggest game of the regular season, when they face arch rival Chivas Rayadas del Guadalajara. America will come in at their top of the current season after defeating their city rivals Cruz Azul at the Estadio Azul’s last regular season clash between the teams. Meanwhile, although Chivas is the current Liga MX and Copa MX champion, they are coming in all but eliminated after a terribly cruel loss against Morelia. Despite not playing well all season, they had one of their best games against Morelia and were looking for the victory when in the final play, veteran Carlos Salcido scored and own goal that gave Morelia the 2-1 victory. America will be the favored coming in but situations like this have proven to be stumbling blocks in the past. America currently stands at number two and is playing some of their best football of the season. Back to back 3-1 victories away to Toluca and Cruz Azul have placed the team as a serious candidate for the title. Coach Miguel Herrera has the team once again playing at their best and the team didn’t miss injured Brazilian William Da Silva against Cruz Azul. Colombian international Mateus Uribe has scored in those last two games and has settled in with team. Still, the high expectations of the team can lead to overconfidence, which is something that is paid in games like this. The clearest Chivas win in Azteca came in a similar situation where America was clear favorite but Chivas came in and defeated them 3-0, with a great performance from Isaac Brizuela. That said, Miguel Herrera is an expert on Clasicos and has a winning record against all 3 teams (Chivas, Cruz Azul, Pumas). Just this season America has defeated both Cruz Azul and Pumas and will look to defeat Chivas for the trifecta (although they are set to face Cruz Azul in the Copa MX game Round of 16 game). 2017 will be a historic year for Chivas regardless of current play. They not only won their second Copa Mx title under coach Matias Almeyda but finally conquered their Liga MX title. Yet it’s been a big hit how halfway through this season, they are already out of the Liguilla. Chivas had a big battle with “Campeonitis”, which is the malaise some Mexican teams have after winning a title. It’s clear Chivas had a bad start of the year because of key injuries to players, especially forward Alan Pulido. But a lot of Chivas players just had severe drops in level of play, most notably Orbelin Pineda and forward Angel Zaldivar. Both players were key in Chivas title run and failed to carry the team this season. The lack of play, injuries and even a lack of attitude brought questions if Coach Almeyda’s relation with the team was suffering and if this might be his final season. Which is why their improvement against Morelia was a positive sign until tragedy fell in the final minute. Thus what could have been a turnaround now looks to be a big hit to the team’s confidence. To make matters worse, their best player of the season, Rodolfo Pizarro, picked the worse time to get a red card and will miss the Superclasico. America has it all to get a big win in the Clasico Nacional. A victory will really help the team set their ways for a title run but they must be careful that Chivas’ mini resurgence doesn’t continue. Although it might be the perfect situation for Chivas to improve without having much to lose, the short time and the big hit that was getting eliminated so early might point that a comeback might wait until their Copa or Liga MX Clasico Tapatio against city rival Atlas and not this Miguel Herrera inspired team.